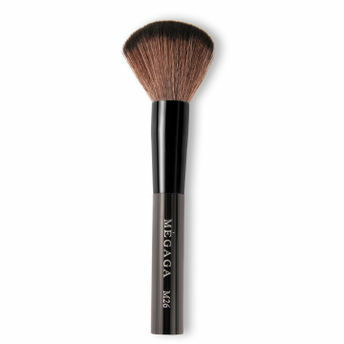 Pack in your foundation with powder using the Megaga Powder Brush. This is a fluffy brush which picks up enough amount of powder required to cover the face. Unlike other powder brushes Megaga Powder Brush is not large, but perfectly sized to cover the smaller areas of the face. Explore the entire range of Face Brush available on Nykaa. Shop more Megaga products here.You can browse through the complete world of Megaga Face Brush .